The EU Athletes’ statement on the European Commission’s Statement of Objections in the antitrust investigation on the ISU Eligibility rules. The European Commission has released its preliminary view that the ISU (International Skating Union) rules, under which athletes face severe penalties for participation in unauthorised speed skating events, are in breach of EU antitrust law. The Commission’s concerns are outlined in a Statement of Objections addressed to the ISU on the 27th of September 2016 (http://europa.eu/rapid/press-release_IP-16-3201_en.htm). This decision is related to the proceeding opened in October 2015, following a complaint filed by two Dutch speed skaters: Mark Tuitert and Neils Kerstholt. 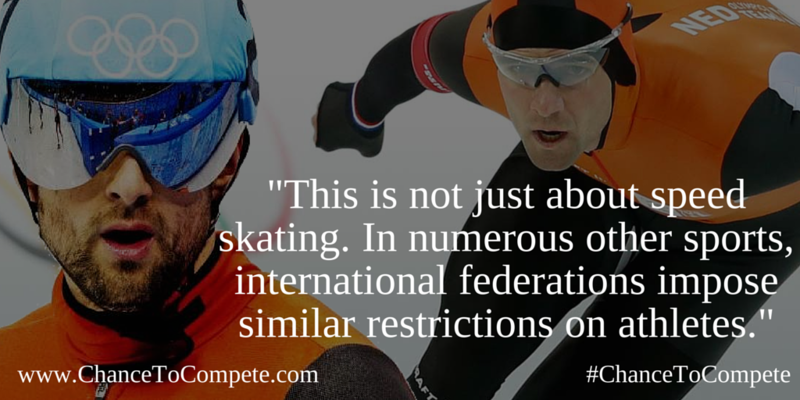 They challenged the ISUeligibility rules, which impose a life-time ban on skaters from international speed skating events such as the Olympic Games or the World Championship, if they participate in competitions which were not approved by the ISU. For more information, please visit www.euathletes.info and follow us on twitter @EUAthletes.